No wonder David Cameron keeps smiling; the Conservative Party has more friends on Facebook than any of the other main political parties. According to a recent report, the Tories had over 130,000 connections on Facebook – more than Labour and the Lib Dems combined. However, the Prime Minister may well have to wipe the smile off his face if new research on social connections is anything to go by. 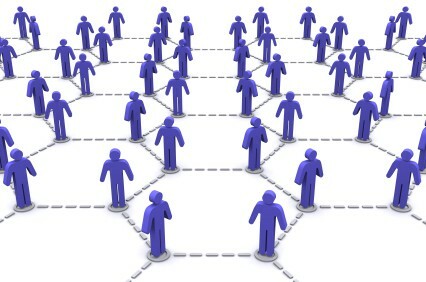 According to sociologists from Cornell University the diversity of the social networks we keep is linked to the economic success of those networks. Although the researchers point out they only conducted the study on telephone use, there’s no reason to suspect it would be any different if we examined the topic using Facebook or Twitter as our examples. Indeed, the scientists plan to move onto studying the impact of our online social networks on our economic success. The telephone study revealed that when people phoned a diverse range of contacts over a wide area they tended to live in more affluent areas and have more economic opportunities. People who only phoned a narrow range of people who were mostly local tended to live in economically narrow areas. In other words, if you have contacts who are spread far and wide in a variety of situations you are probably more affluent than if you are restricted to locals. Many people online appear to be chasing raw numbers; indeed there are networking consultants who will tell you that you need a large number of contacts so that you can find the quality amongst the big group. If you only have a small number of friends or contacts, they argue, you could be missing out on the quality you need. However, this new study suggests this notion is flawed. More importantly, it reveals that it is the diversity of the group of contact you have and their widespread location which is more important in economic success. What you need, it appears, is a group of contacts from different places, with varied backgrounds and experiences. According to the sociologists who conducted this new study, the most economically successful people tend to be those who have a wider social group. It is not the numbers of people who count, but where they come from that matters. We have yet to see if this research is confirmed in an online setting, but the chances are it will be. And that means you shouldn’t be chasing raw numbers of friends, Twitter followers or LinkedIn connections. Instead, you should be looking at the diversity within your group. If your network is not that diverse or geographically spread, then looking for people to fill the gaps is most likely to bring you more benefit in the future. So, one thing may well have benefited the Prime Minister after all – the chances are his online connections have widened from the Tory faithful into the Liberal Democrat territory. Perhaps he can smile after all – his friends are more diverse than they were a month ago…!